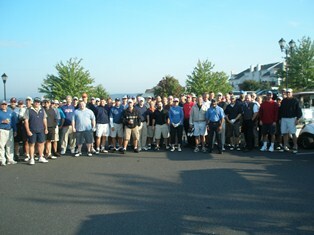 EASTON, PA (Oct. 24, 2011) - The annual Ed Adamko Fall Golf Tournament held last month celebrated another successful outing, with nearly 60 golfers raising more than $1,800. The annual event, which takes place at the Club at Morgan Hill, donates all proceeds to Lauren’s First and Goal Foundation. “I enjoy doing this. For one, it is fun to see it all come together, and two, it gets people from all over Pennsylvania and New Jersey together to help raise money for such a worthy cause,” said Adamko, who is a neighbor to the Loose family. Over the last four years, Adamko’s event has helped raise about $7,000 for LFG’s fight against pediatric brain tumors.